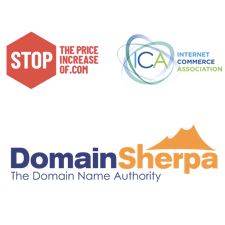 The Internet Commerce Association (ICA), a non-profit advocating for the rights and interests of domain name owners and related service providers, is the only trade organization for the Domain Name industry. They are currently advocating for a stop to another .COM price increase. You can see & sign the petition here. Learn more about Verisign’s exclusive, no-bid contract to run the .COM registry, how the pricing is set and why it’s important to collaborate with your trade org here! The Internet Commerce Association (ICA) advocates for the rights and interests of domain name owners and related service providers. Two key focuses today include pressuring the U.S. Government to not allow further .COM pricing increases, and advocating for desperately needed UDRP reform. There are about 134 million .COM domain names, all administered exclusively by Verisign, a public company with operating margins of over 60%, which reported more than $2.0 Billion in profits over the past 5 years. Verisign gets their contract to run the .COM registry from the U.S. Government without any bidding process. Although the cost of running the .COM registry may be as low as $3-4 per domain, Verisign charges $7.85 to their customers. Before the U.S. Government stepped in to cap Verisign’s prices in 2012, Verisign’s previous contract permitted it to raise prices 7% annually in most years. That price cap ends on Nov. 30, 2018. The ICA has created a petition here to stop another pricing increase. Meet Kamila Sekiewicz, ICA Executive Director (@ICADomains). Kamila, a molecular biologist by education, is a brilliant and hardworking strategist and advocate for domain users’ rights. 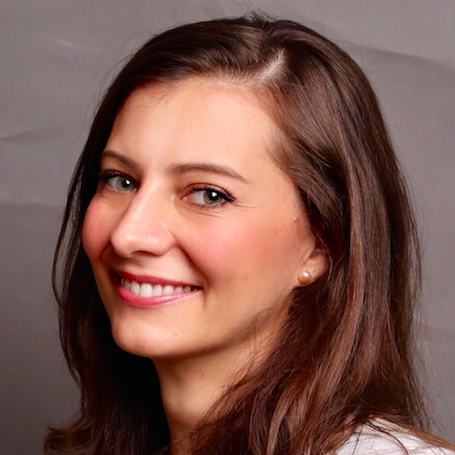 After working for years at Sedo and NameDrive, Kamila co-founded Dataly Media and dedicated herself at the ICA as Director of Operations and now as Executive Director. Originally from Poland, Kamila is now based in the NYC area. Meet Nat Cohen, ICA Board Member (@DomainArts). 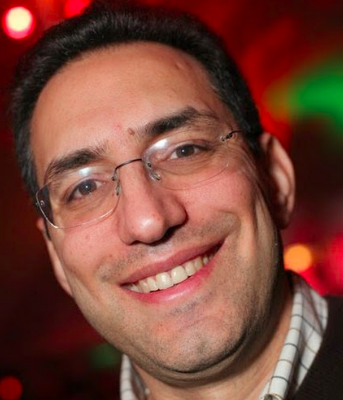 Nat, a veteran domain investor since 1997, is a Domain Industry Hall of Fame Member and owner of domain name investment firm Telepathy, which focuses on 2 letter and 3 letter .COM domains and other premium domains. Despite being a very private person, Nat dedicates his time and distinguished industry status to advocating for the ICA. I have a comment to Drew regarding the Cloudflare wholesale pricing. Be aware that you can only transfer domains to Cloudflare that are active on Cloudflare. This might not be good for some people as Cloudflare is pretty aggressive in their filtering process and not to mention the cost of the service might outweigh the overall costs. I think that this wholesale concept for them is a loss-leader. Thank you all for interesting interview. Learnt a few things about the ICA operations, thanks. I have already signed the petition. Hopefully, more people will sign it. First of all, thank you for taking the time to do this show. Second, go ahead and join the ica and sign the petition. Neither the ica nor signing the petition is going to help stop the price increase….if the government and VeriSign have decided on a price increase, it’s going to happen…this is politics…money talks…if VeriSign makes huge donations to the government, then they will do whatever they both agree on…your ica or petitions can’t stop this…its not fair but it’s just how it works…it’s politics. Their stock has tripled because the market has been good last 5 years. Almost ALL stocks have tripled from their lows from 5 years ago…it’s not only VeriSign…so stop the hate. The price increase will only hurt domainers and they are less than one percent of the population so nobody really cares. The general world population are tired of seeing parked pages when they type in a dot com address…they would like to see a website. You guys are talking about a little dollar price increase which would not affect 99% of general world population. I think they should increase the price to $300/year per dot com domain. This will get rid of all the parked pages and all the junk and will leave only real business websites on the internet. Heck, if those junk new gtlds can charge $300+/year, i am sure dot com is going to start charging that eventually. In the end, there is really nothing you can do about it…the price increase is in the hands of the biggest thief…The U.S. Government. Again, this is all only my opinion. 1- About hating on Verisign, If they weren’t a monopoly and it was open competition, perhaps perceptions would’ve been different. 2- Saying that it would only hurt domainers that are less than one percent of the population… Perhaps, but they represents millions of dollars flowing to Verisign. So yes it does matter. 3- For your other point, do you also rant about undeveloped land bought by real estate investors / speculators that remain undeveloped until the right buyer comes along? Should they pay a very high increase in taxes as a result? 4- The mentality of if there’s big entities at play you can’t do anything is a mentality that will bring you nowhere. Every big company started somewhere. You can start to mobilize and start to have some small effect and have a voice that can start to grow in time and have bigger impacts. The price increase is probably going to happen this time around, but if you don’t even show that there’s a resistance that also has numbers and money, nothing will ever happen.